And so it begins! Butterflies are Free is a guest for the day at J.P. Barnaby’s! 🙂 Pretty good starting place for a blog tour, ‘ey? She’s got the tour poster up, and she’s done the advert for Never See the Light, too! Also, a nice little hide for the excerpt from the book! 😀 *dances* Soooooo very fun to do this again, even if it’s a little nerve-wracking to get it set up on my own! Now… this go-round, we’re doing the Kindle Direct Publishing route for three months, which allows me to try out the “library” part of the Prime membership for Amazon. So… here’s the link to Butterflies on Amazon! 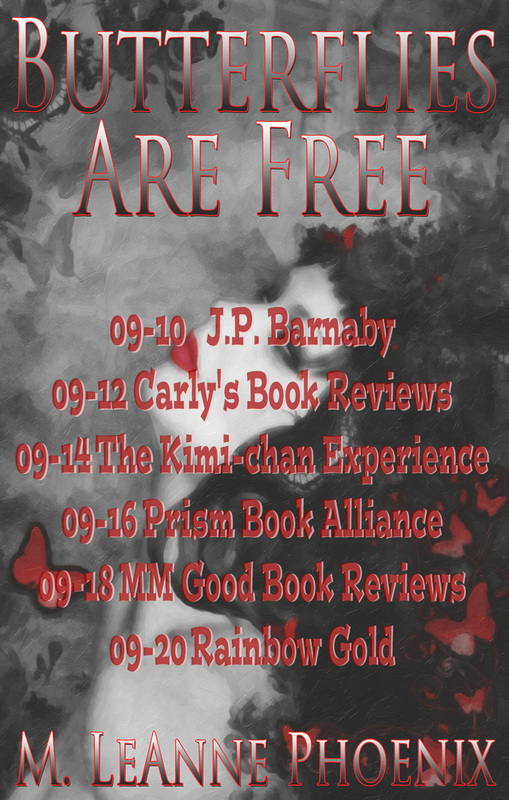 Here’s the link: Butterflies are Free at J.P. Barnaby’s Blog!